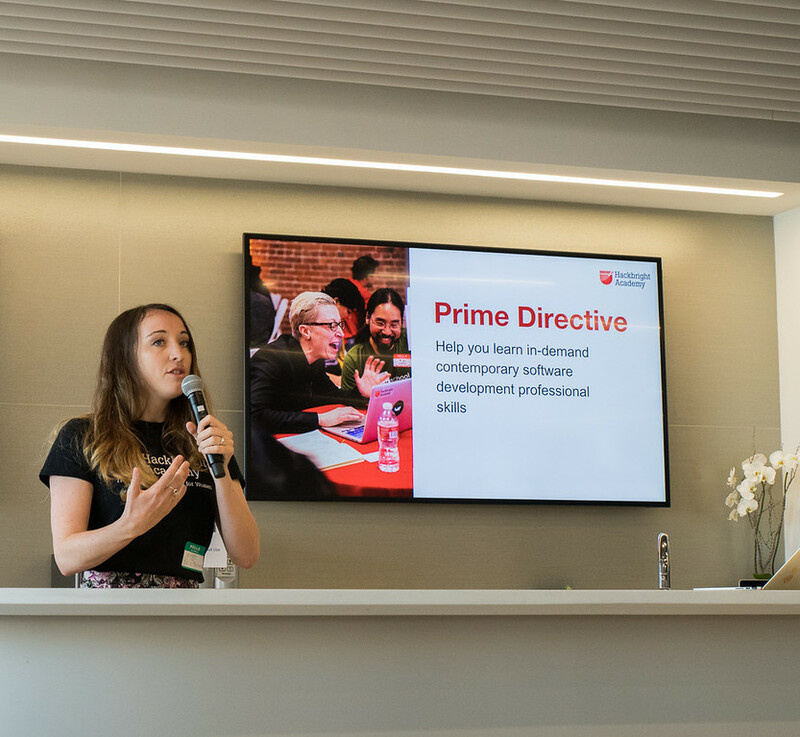 Last weekend, Hackbright Academy and Girls in Tech, with partnership from Cisco, Kintone, hosted the first Hackathon for Humanity – San Francisco event at DocuSign in San Francisco! 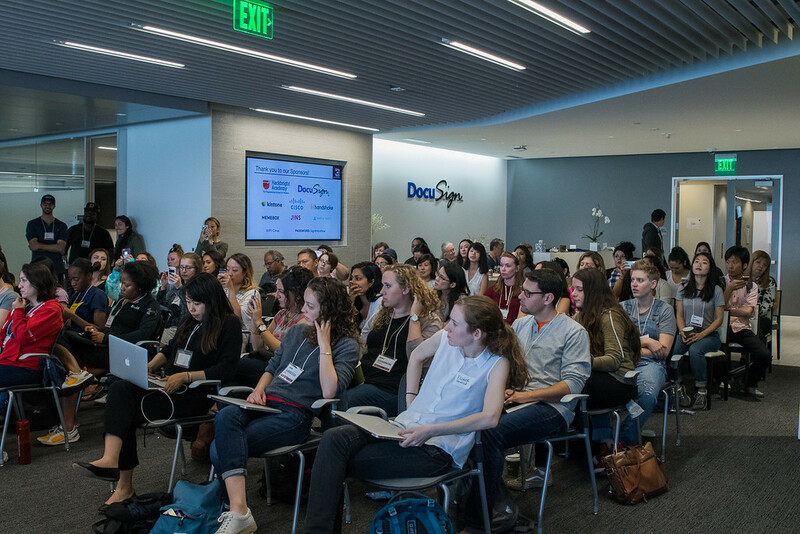 With a sold out crowd of 170 Hackers and volunteers, the 2-day event kicked off bright and early Saturday Morning with a welcoming note from DocuSign CEO Dan Springer, followed by a presentation on “Hacking 101” from Hackbright Academy’s very own Meggie Mahnken and Bonnie Schulman. 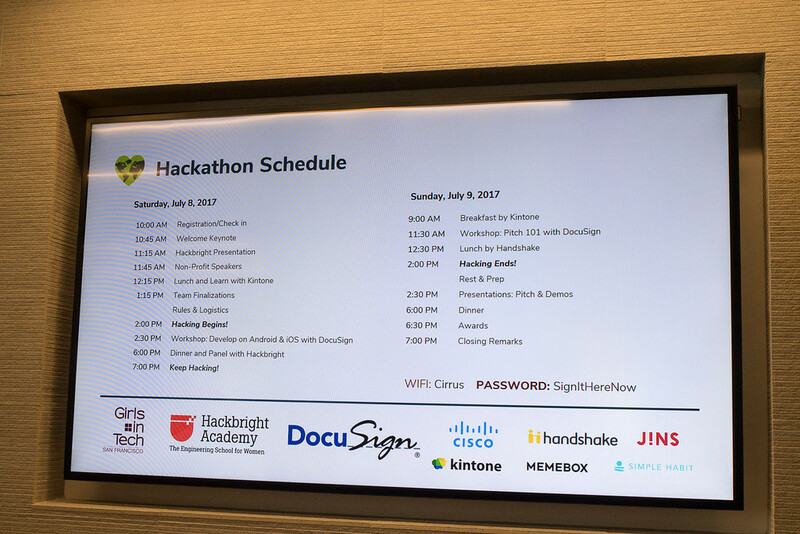 After presentations from fellow sponsors and non-profit organizations, our hackers were given the go! 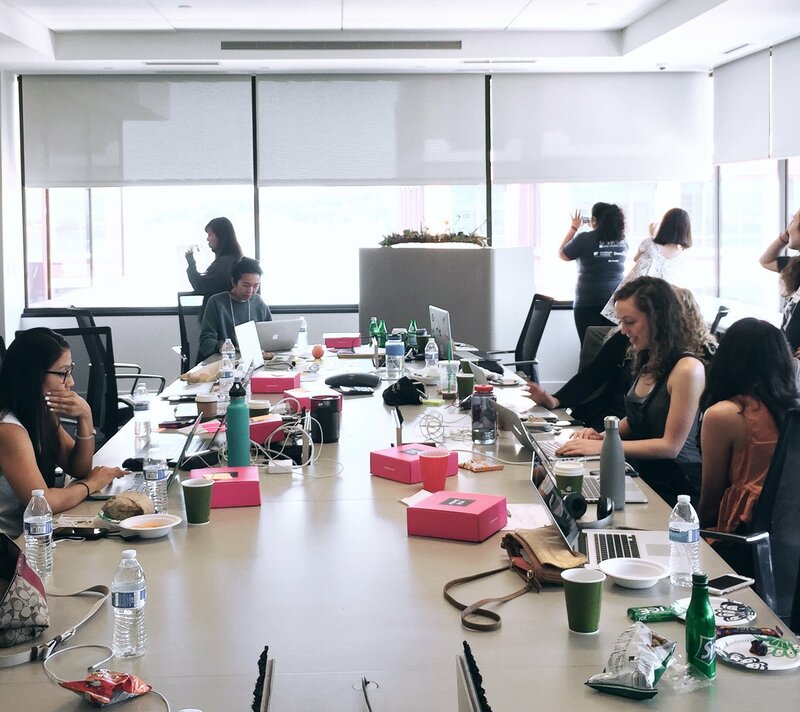 With a task of forming a team, solving a problem for good in the world today (homelessness, domestic violence, human trafficking) and presenting it to a team of judges, our Hackers would be solving a problem that affects the world today, and have a chance to win some awesome prizes at the end of it all! After the 2-Day Hackathon time was up (with many staying up all night!) our teams were ready to present to the judges. With the criteria on creativity, technical knowledge and relevancy to women’s social issues, our judges were tasked with choosing the top team. After three hours of presentations and reviews, our judging panel took a recess to finalize the winning team. With over fifteen teams of five members each, the judges had no shortage of content to look over! 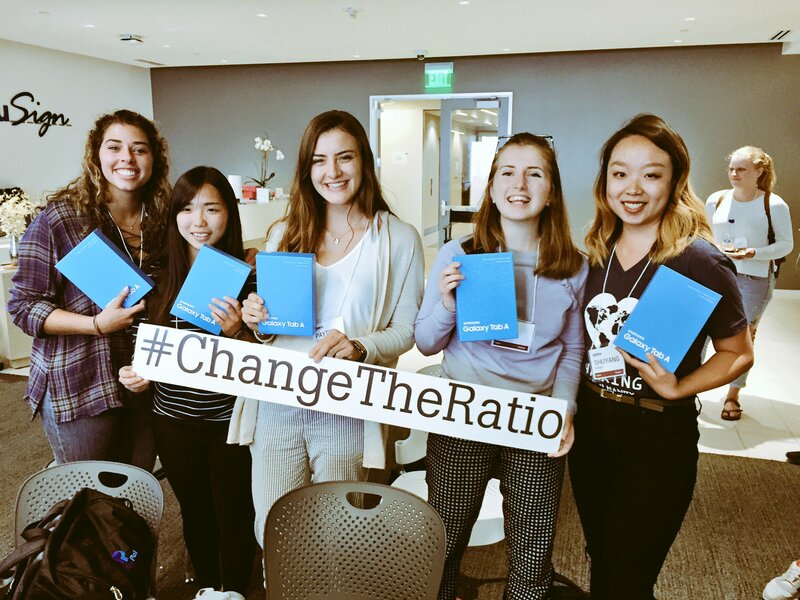 Congrats to #TeamEmpathy on winning the grand prize, Samsung Galaxy Tablets from Hackbright! Check out all the photos from the event here. 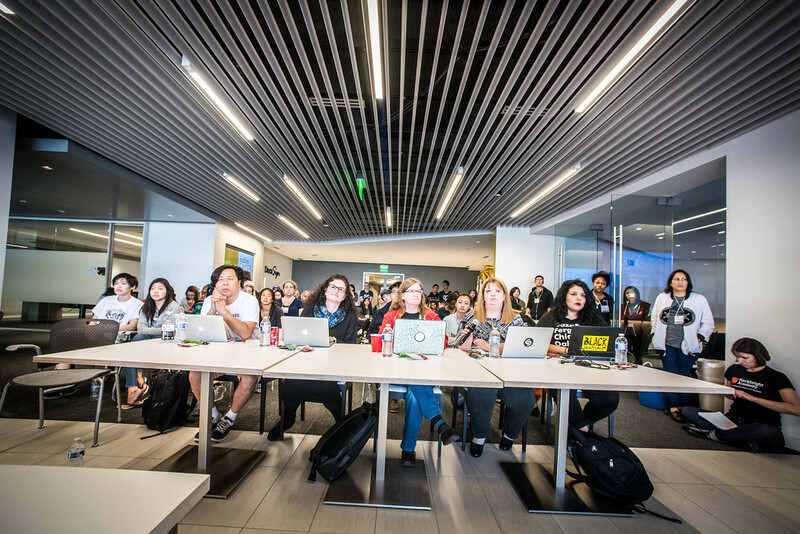 Thanks for everyone who attended and to all the great partners who supported #Hacking4HumanitySF! 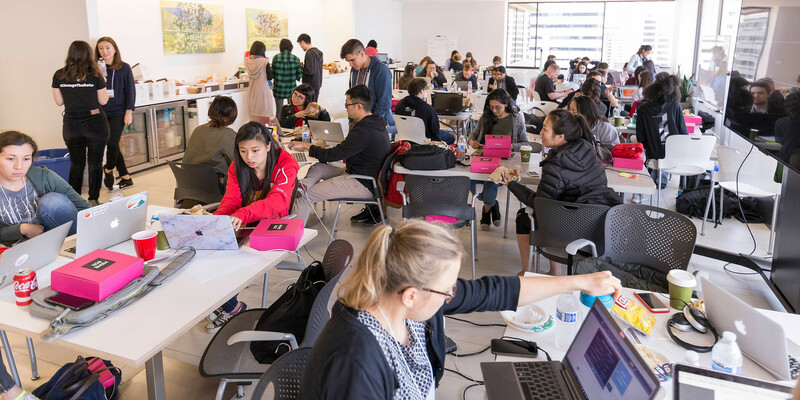 Attend an upcoming event from Hackbright Academy and learn more about our Software Engineering Courses!